Prosthetics : Fixed prosthetics and mobile prosthetics are a field of dental medicine whose primary goal is projecting and construction of prostheses thereby considering the following facts: functionality and aesthetics. In this part of dentistry a highly quality dental laboratory which closely cooperates with the dentist is of high importance. Give us your confidence and we will justify it! When a patient has a fixed prostethics, elements in his mouth are permanently fixed and the patient is not able to remove them by himself/ herself. They replace lost teeth and/or teeth which lost their functionality and/or aesthetics. The most common fixed prostethics are crowns and bridges, veneers and inlays, onlays, overlays. 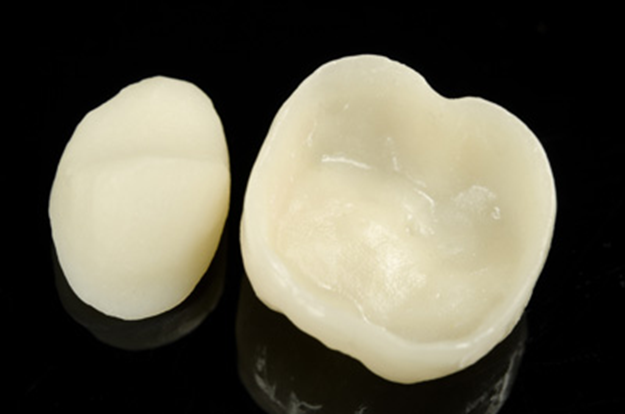 Metal-ceramic crowns and bridges are still the most common prosthetics work in dentistry which satisfy demands of functional loading and long-term aesthetics. All ceramics bridges and crowns are metal-free, provide to the technician a better possibility to obtain natural transparency of a newly constructed tooth. 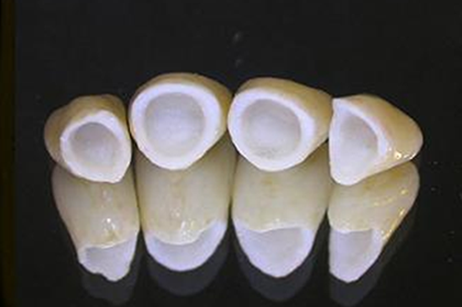 Modern aesthetic dentistry is unimaginable without all ceramics crowns and bridges. 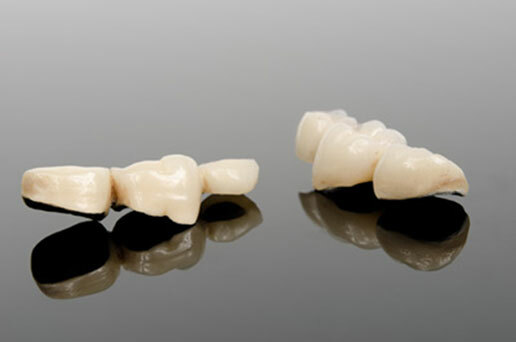 The use of all-ceramic crowns is increasing nowdays. All-ceramic systems differ considerably in their relative esthetic potential and their physical properties. They can provide superior esthetic results compared with metal-ceramic restorations. Zirconia-cored crowns and bridges are the strongest all-ceramic system and may provide improved esthetic results compared with metal-ceramic crowns. No all-ceramic restoration has been shown to have a life span equivalent to that of metal-ceramic restorations. It is important to choose appropriate all-ceramic restorations on the basis of patients’ needs. When the situation in the oral cavity is such that fixed prostheses are not feasible, dental medicine offers the possibility of removable or combined works. Removable prostheses – dentures can be total or partial. While total dentures are exclusively made of acrylic, partial dentures can be made of two types of material: acrylic or wiron (with metal base). Combined works, also known as semi fixed dentures, involve those that are only partially fixed in the mouth, while the remaining part of the prosthesis is removable and must be regularly removed for oral hygiene. The combined works is a solid solution where the situation found in the oral cavity cannot be solved by implantology. 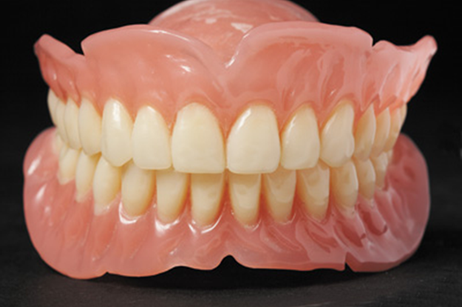 Complete denture – an appliance replacing all the teeth of one jaw, as well as associated structures of the jaw. 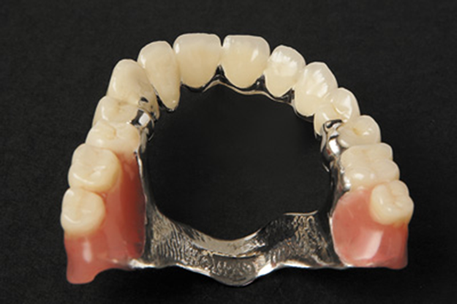 Fixed partial denture – a partial denture held in position by attachments to adjacent prepared natural teeth, roots, or implants; called also bridge. Implant denture – an artificial denture or single tooth retained and stabilized by a framework or post implanted in the bone. Overlay denture – a complete denture supported both by soft tissue (mucosa) and by a few remaining natural teeth that have been altered, to permit the denture to fit over them. Partial denture – a dental appliance that replaces one or more missing teeth, receiving support and retention from underlying tissues and some or all of the remaining teeth..